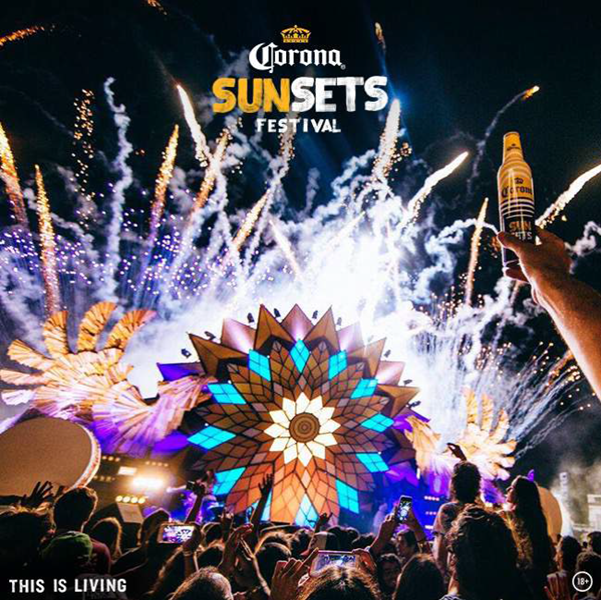 In December 2016 Corona SunSets, the brand’s largest collection of festivals and events in the world, brings the Corona SunSets Festival to South Africa, home to some of the world’s most beautiful sunsets and best beaches, for the first time. The festival brings to life the trans-formative moment of sunset through music and culture, and Corona invites their fans to enjoy life and raise a bottle as the sun goes down – an uplifting and transformational moment when day fades to night and new possibilities appear on the horizon. This year’s celebrations focus on the ‘mood shift’ moment at sunset, ignited by melodic and deep house music; a sound that defines the magic of the sunset moment. Corona SunSets is the everyday manifestation of ‘This is Living’ – the brand’s new global marketing campaign that reminds people to go outside, enjoy life and live more moments that matter. The lineup for the Cape Town show features internationally loved deep house DJ and producer, known worldwide for his single “Need U (100%)”, UK-born Duke Dumont. The second international gracing the decks is Sam Feldt, the Dutch phenom who, while only in his early twenties, has become quite the deep house tastemaker of his day. The third, but by no means least, international on the SunSets stage is Swiss-based, SA-born DJ, producer and musical maverick Nora En Pure. Nora is someone who connects dots between different and disparate sounds, styles and scenes with ease and adds levels of melodies and sound to her sets, something she will do with ease at the SunSets Festival. Inspired by Corona’s manifesto, ‘This is Living’, the Corona SunSets Festival will no doubt inspire local fans to go outside, enjoy life and live more moments that matter, and with the festival organizers including additions to the outstanding musical lineup such as eclectic musical performances, sunset rituals and shows, beach games, local merchants selling handmade items, and golden sunset tattoo and body painting stations to initiate guests into the SunSets Tribe upon entry, the skyline is set to be lit in December. Born in Mexico and brought up on the beach, Corona is the leading beer brand in Mexico, the 6th most valuable beer brand in the world, and the most popular Mexican beer worldwide, with sales in more than 120 countries. Corona Extra was first brewed in 1925 at the Cervecería Modelo in Mexico City. Corona is the perfect complement to life’s simple pleasures. The golden color, light refreshing flavor and iconic hand painted bottle, topped off with a freshly squeezed lime.